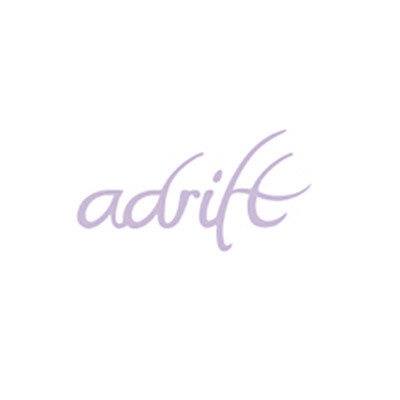 Shop at Adrift via Shopcred and you can save money with our Adrift deals, coupon codes and offers. Plus earn rewards on eligible purchases which are redeemable as cash and join our conversations. Shopcred is the modern place to Shop. 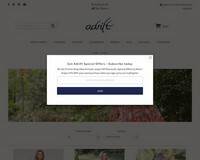 Ladies, check out adrift's fashion sale. For up to 40% off, we've added more styles and further reduction. Don't miss out on a bargain! Hurry shop now! Use code FREESHIPMAR to receive free express shipping on Australian orders. Please select express shipping at the checkout. Use code SALE40 to receive 40% off already reduced items. 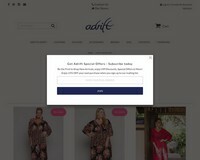 Our Biggest Ever Kaftan Sale! Use code KAFTAN40 at checkout for 40% off All Kaftans! Including already reduced styles! 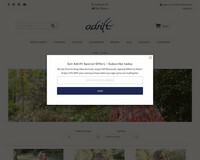 Check out today's adrift Valentine's collection! Get 30% off for 2 days only. Choose from all sizes of these gorgeous dresses perfect for the month of love! Enter Promo Code and Get 30% Off on All Ari Collections - Limited time only! 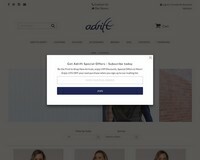 Behind the hectic, exciting and glamorous doors of Adrift, their number one priority is to bring you the ultimate online retail experience. With their range of clothing, accessories and home wares continually expanding - they are confident you will find something beautiful to wear or to add decorative flair to your home. 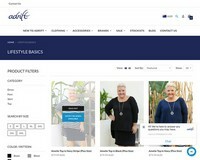 Based in Brisbane, their boutiques and online store are run by wonderful ladies who know you the best. They believe in making women feel confident and beautiful and so try to provide clothing that is cool, comfy and of course chic! All of their garments are designed here in Brisbane and their products are sourced both locally and internationally.